Eyesight Hoboken (Hoboken) - Book Appointment Online! At our Hoboken, New Jersey, office of optometry, our mission is to preserve, restore and enhance the vision of every member of your family. 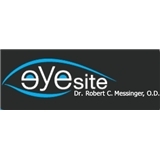 Dr. Robert C. Messinger is committed to providing compassionate and personalized eye care to the Hoboken community and its surrounding environs. The best optometrist in Hoboken was chosen to be in this Optimum Online commercial! See Dr. Robert Messinger and other small business owners talk about serving their communities. Our team of friendly and dedicated professionals are committed to providing expert vision care using the latest technology and advanced training in a comfortable and relaxed atmosphere. We will do everything possible to make your visit an exceptional and stress-free experience. Your eye health is our number one concern. Dr Messinger is excellent; the one doctor I actually look forward to seeing. His sense of humor and personable nature make my annual eye exam a fun and overall positive experience.